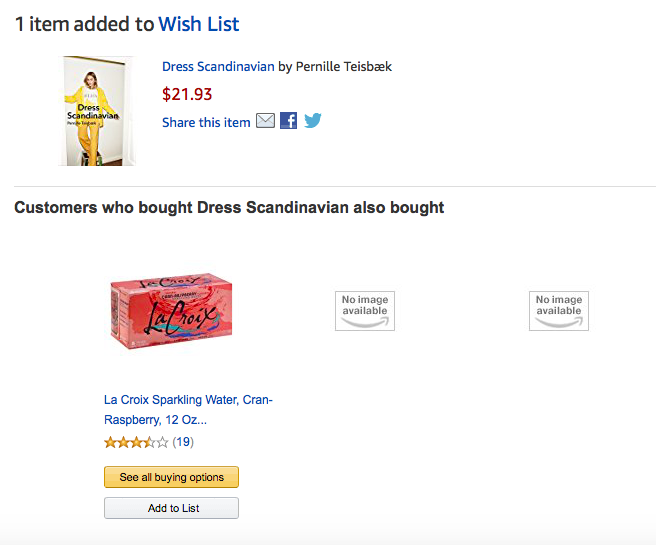 OMFG (Real screenshot from my Amazon wish list stalking). I've found my people. September 14, 2017 by Adele Chapin. "People didn't have 22 dresses. They just didn't." January 20, 2016 by Adele Chapin. October 12, 2015 by Adele Chapin. Outdoor Voices makes the best cropped top out there, I think. Just look at this top/leggings combo from the Man Repeller x Outdoor Voices collab, plus you get a colorful jump rope and a chocolate bar to go with it! I love their aesthetic, and OV is definitely going places: they just raised over $1 million in funding. Here's my Racked interview with Tyler Haney, the 26-year-old founder of Outdoor Voices! Posted in Style and tagged with Outdoor Voices. June 4, 2015 by Adele Chapin. I told myself I wasn't going to buy anything for myself in February, but broke that promise at Meeps with these vintage earrings. They have little tennis players on one side and a court on the other! Look at them! I was going to let them go but then I saw another girl pick them up and my competitive spirit kicked in. Tennis!